We will submit 1,000+ backlinks for your links/keywords in only PR 3-9 sites. Your link with your anchor text will be used to submit this campaign to generate 1,000 high PR backlinks, this is very easy, cheap, safe way to rank you link(s) in Google. 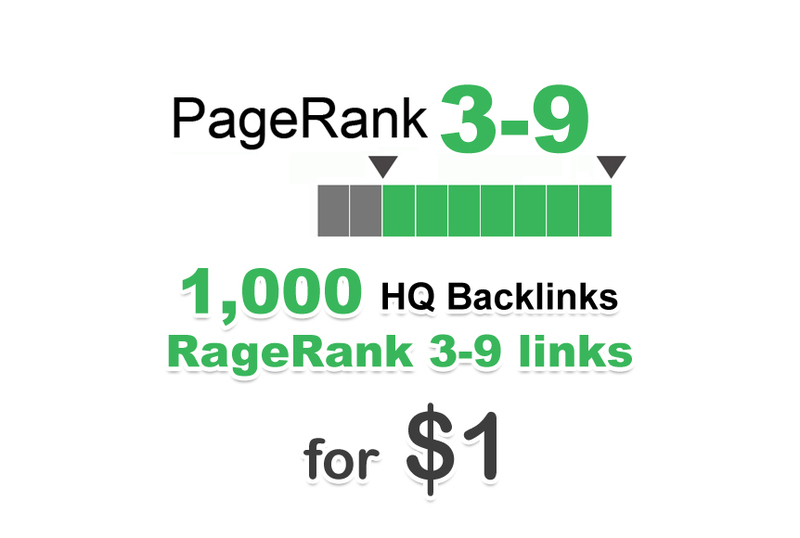 1000 PR 3-9 backlinks is ranked 5 out of 5. Based on 512 user reviews.